Commercial diving jobs can make for an incredibly rewarding career. Individuals who enjoy scuba diving are likely to find it especially rewarding. Being paid to do something that one loves and would gladly do for free, is what most people desire but never realize. For professional divers, this is often the case. It is important to note that while diving for a living can be incredibly exhilarating, it does require a great deal of hard work, dedication, skill and training. However, commercial diver jobs do pay well and there are a myriad of opportunities available to those willing to do the work. Below we will take a look at the types of jobs available to commercial divers, offering a brief description of each, along with salary information. Before we list available commercial diving jobs, it is important to note that one of the best things about this field is that it is possible to find a job almost anywhere in the world. This bodes well for individuals who appreciate the flexibility of being able to work anywhere on the globe, not to mention the job security that this affords. Commercial divers of this type will perform exploration duties either for research purposes or so that engineers can build underwater structures. Divers who work in this area may take dives in order to perform surveying duties and/or perform maintenance. This generally requires hard hat diving. Probably one of the most lucrative dive jobs. Military diving is for military personnel. This form of diving is extremely challenging and the process required to become this type of diver is quite tough. There will be times when repairs need to be made underwater, structures need to be built and demolitions planned. 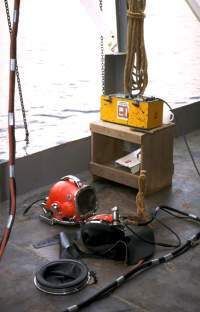 Commercial divers may be needed to go underwater and head exploration teams so that accurate models and structures can be planned and constructed. This job may at times include salvage dives. This is one of the more enjoyable forms of commercial diving. These professional divers may take underwater pictures, film or perform stunts. This a great job for those interested in the entertainment side of diving or the arts. Police divers go underwater to collect evidence or do recovery missions. Recreational, commercial divers generally take other certified divers on tours, teach scuba diving classes and leads expeditions. This is great job for someone interested in living in a tropical locale. As the name states, these divers search for shell fish, often times for commercial fishermen and companies. The compensation for commercial divers will obviously differ based on the job, the assignment and the qualifications of the diver. Commercial divers though, on the whole, make a very good income. The range of salaries can be quite large, ranging from around $20,000 year and going up to well over $100,000 year for someone with experience. Depending on the type of diving involved, pay can include an hourly wage plus hazardous pay on top of that. Overall, average starting salaries for a commercial diver are in the $40,000 to $60,000 range with full benefits included. Offshore diving is probably one of the highest paid positions for commercial divers. 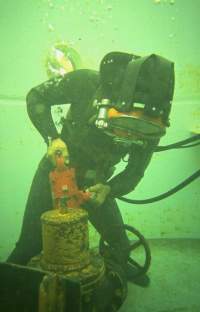 A diver can make over $1,000 a day doing this type of work. Of course, it is not without risk and the pay reflects that. Inland divers generally will make less than offshore work but can still expect to make over $100 day. 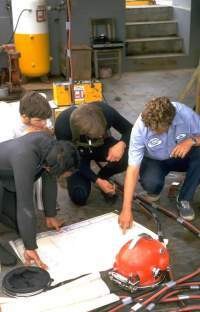 For a list of resources to find commercial diving jobs, check out our page on scuba diving employment including resources to find dive jobs.